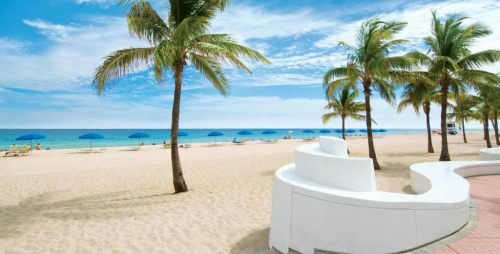 Spirit Airlines is showing flights from Niagara Falls, NY (IAG) to Fort Lauderdale, Florida (FLL) for $89 CAD roundtrip including taxes. Niagara Falls, NY is about a 90 min drive from Toronto. The total price should come up as $65 USD, which will work out to $89 CAD when charged to a Canadian credit card, based on today's exchange rate and including the typical 2.5% foreign currency exchange fee. 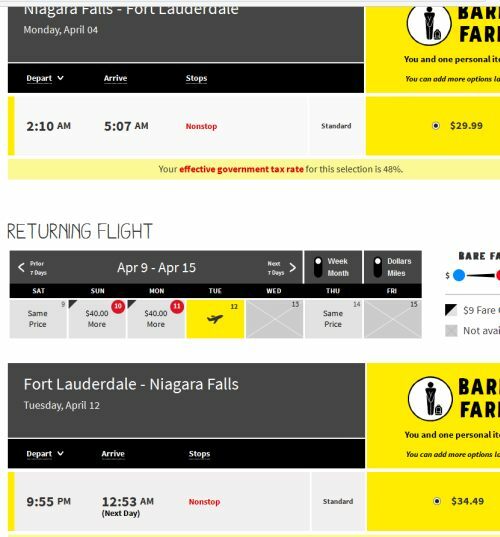 2 Responses to "Niagara Falls to Fort Lauderdale, Florida - $89 CAD roundtrip including taxes"
I am trying to book this deal on Spirit for April 2 to April 9. However, it gives me a much higher price than 65USD. It shows $88 to go + $54 for the return. Any idea why? The price may have changed, because this was posted back on February 28. Airfare prices can easily change within 12-24 hours, if people are booking a great price.